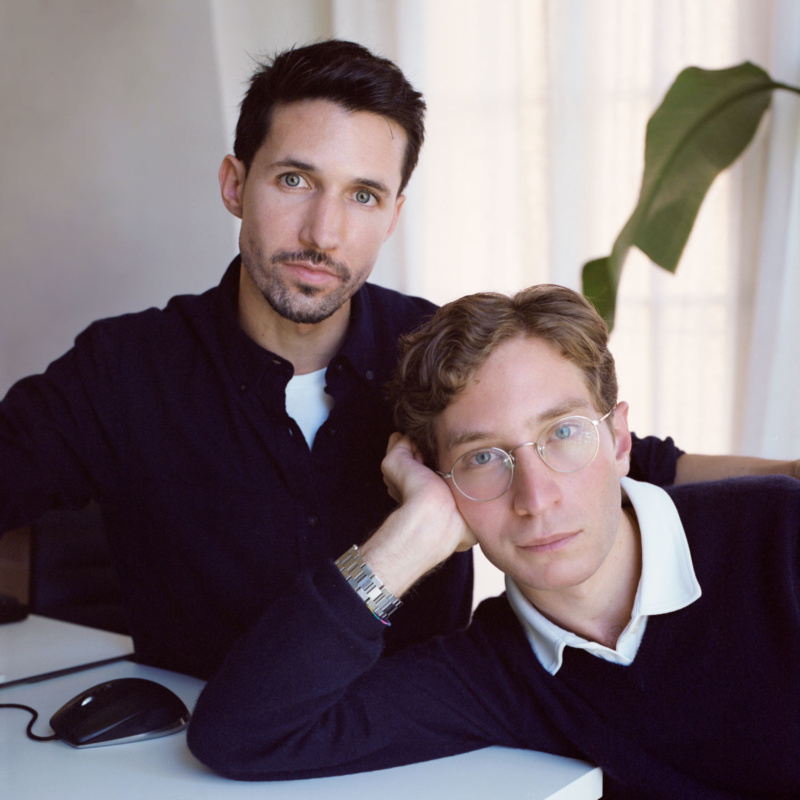 Adam Charlap Hyman and Andre Herrero in their Los Angeles office, 2018. When I ask the bicoastal business partners about Talmadge’s anecdote later by phone, they take a trip down memory lane to a time when two Rhode Island School of Design students, an artist and architect student respectively, connected over a shared flair for the dramatic, which Charlap Hyman and Herrero both claim has mellowed with age. Nina Johnson Gallery / Gallery Diet, Miami, FL. Tina Kim Gallery Offices, New York, NY. 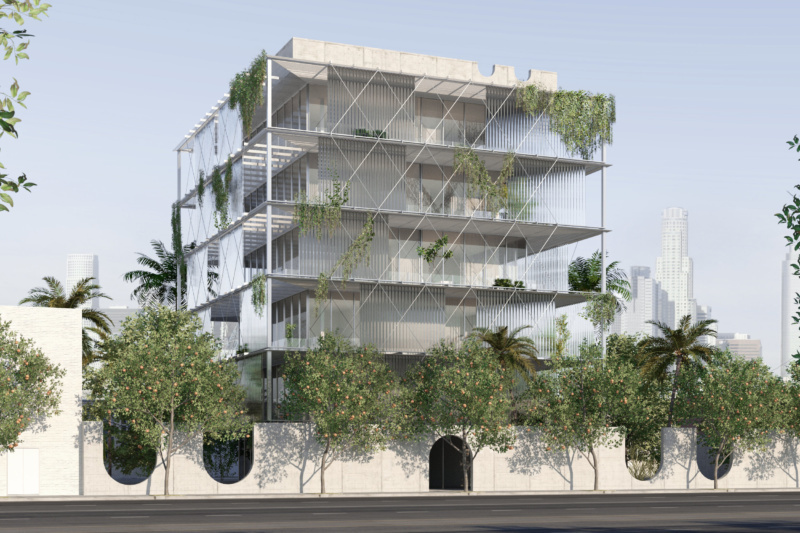 Conceived from day one as a multi-stepped procedure, the compound’s latest addition, two remaining buildings, will be unveiled during Art Basel Miami Beach with a trio of new exhibitions, including a show curated by Charlap Hyman. “I couldn’t think of a more appropriate person to activate the space,” Johnson says of the show, which will include her artists Ann Craven and Katie Stout as well as work by Nicola L. and Anne Libby. Johnson is not the duo’s only art client. The firm launched with a commercial commission by Jeanne Greenberg Rohatyn followed shortly thereafter by a call from Tina Kim. Katie Stout remembers assisting Charlap Hyman in these early days— fluffing pillows to make the space a little more polished. “They have an attention to detail I had never seen before at that scale,” Stout says of their process. “I’ve always found the sheer amount of research that goes into each project so impressive. It’s truly insane.” At the moment Stout was at work on a wicker cabinet with a lamp coming out of each side like horns—a custom piece for a private home. Bjarne Melgaard’s The Casual Pleasure of Disappointment – Red Bull Arts, New York, NY. Artist commissions come second nature to the RISD graduates. They gravitate towards peers like Stout, Misha Kahn and Sophie Stone, whose baroque and wild aesthetic organically weaves in and out of Charlap Hyman and Herrero’s world. And the circle keeps growing. A year or so ago, Talmadge put them in touch with Aaron Aujla and Ben Bloomstein of Green River Project LLC, an introduction that has already yielded a series of custom bamboo lounge chairs adapted from the designers’ second collection. “Ben and I felt like it was much more of a studio visit than an office meeting. That got our guard down right away because the art world just feels more comfortable,” Aujla says of their first encounter. Their repertoire—despite relative freshman status (they made Forbes’s 30 Under 30 last year)—includes ground-up homes, opera sets and exhibition designs as well as more prêt-à-porter fare—furniture, textiles and objets d’arts. This winter, Charlap Hyman and Herrero are tackling two fittingly cinematic commissions. The first, “Blow Up,” is a Felix Burrichter-curated show at Friedman Benda gallery named for Michelangelo Antonioni’s 1968 cult classic based on a short story by Julio Cortazar. Almost like the story’s photographer and unreliable narrator, the partners are responsible for framing the entire exhibition. Their plan is to create a life-sized dollhouse in which the other artists’ work, also dollhouse- inspired, can sit comfortably. Once their epic model is in place, Charlap Hyman and Herrero will be onto the next sally, an opera in Amsterdam composed by a friend, with costumes by Talmadge. Mixed Use Arts Building, Los Angeles, CA. For our issue, the duo took their dream world to a new level creating a set of follies, 18th-century garden pavilions, with their favorite directors in mind. See them here.